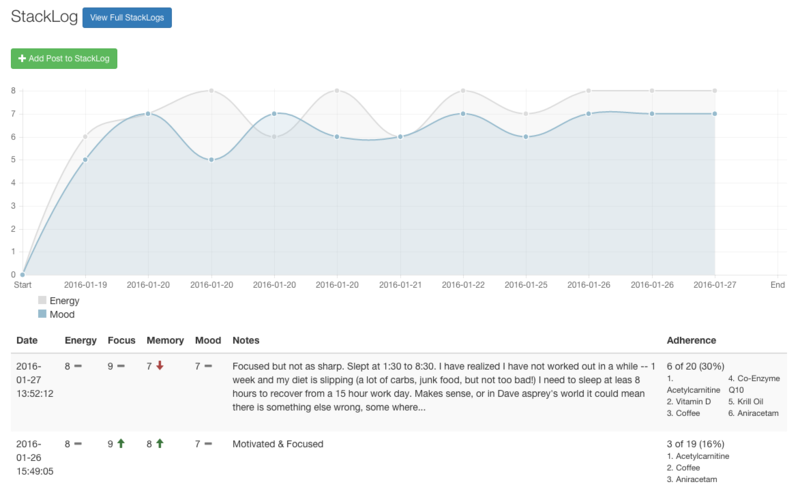 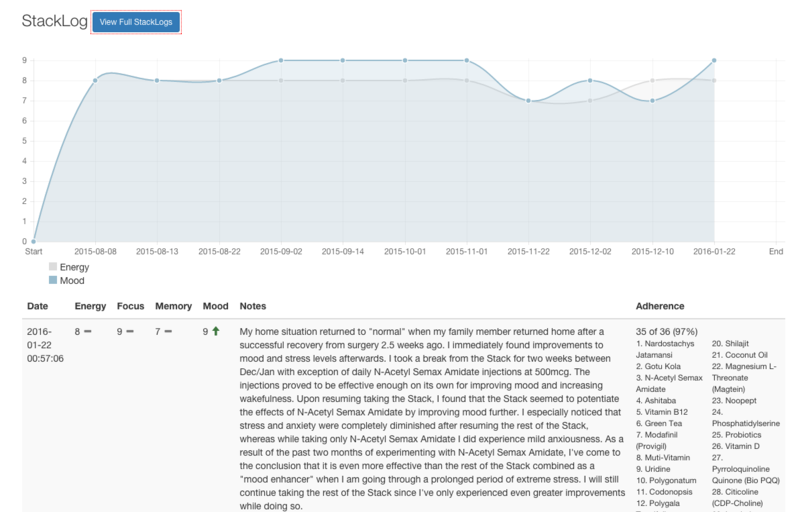 We have been listening to our users and adding useful features at an alarming rate. 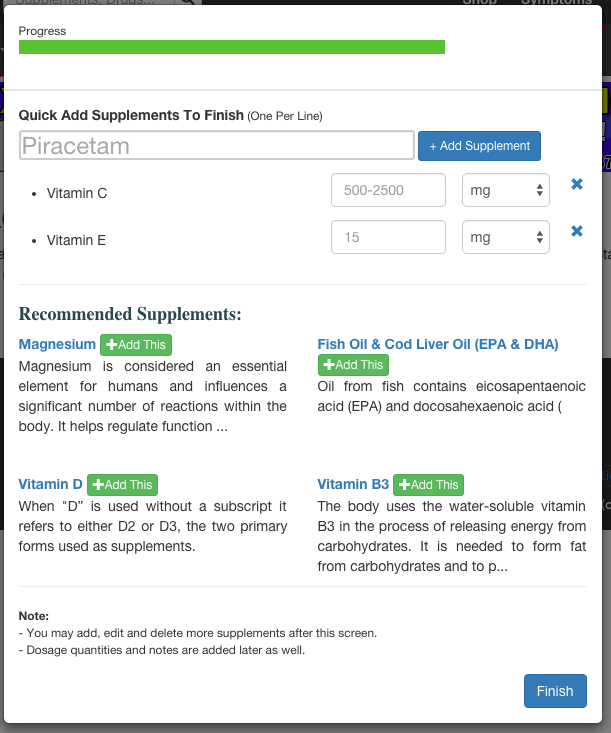 We have also partnered up with many medical and supplement companies to improve our platform faster then ever. 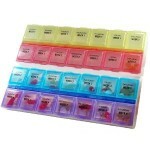 Get started now and notice a significant improvement in your adherence and overall health. 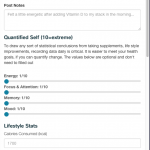 TMS is more then a tool to build your daily health routine, with adherence tools, vitals/sleep/anxiety tracking, a health diary, treatment/stack reviews, we are now quickly becoming a comprehensive health platform beneficial for those with chronic illness that need help tracking their symptoms and those seeking to take their fitness and wellness to the next level. 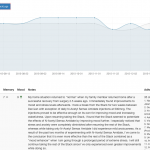 I wanted to quickly discuss the different stack pages we have on the website. 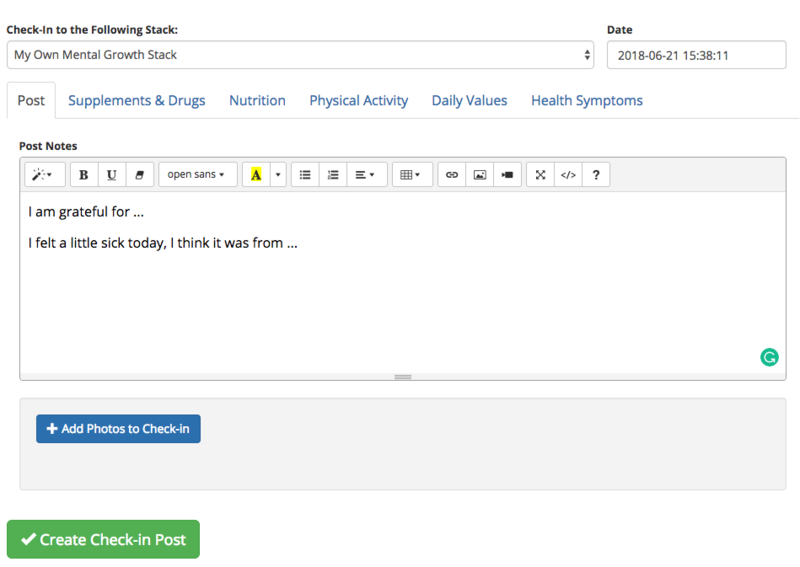 As a reference, a stack in our context refers to a regimen or a routine that people undertake to accomplish their health goal or manage their chronic health illness more effectively, currently we are not restricted to medication or supplements but that is what we have started to support initially. 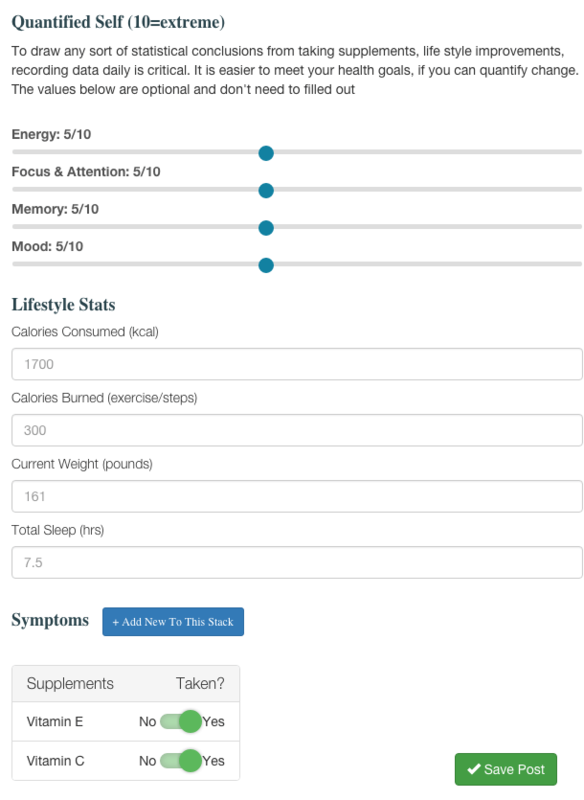 We have built simple informative pages so users can quickly reference what drug or a supplement does and now we may be moving forward to add different medical devices and medical trackers. 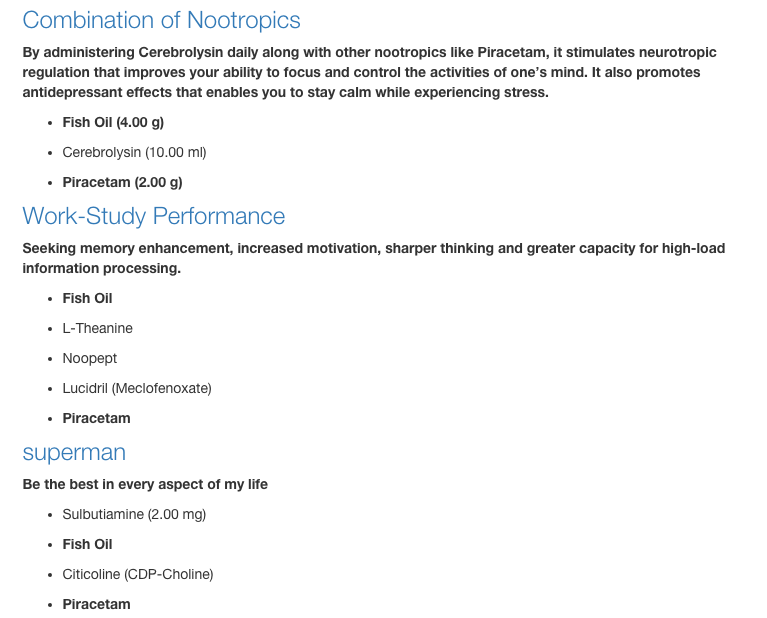 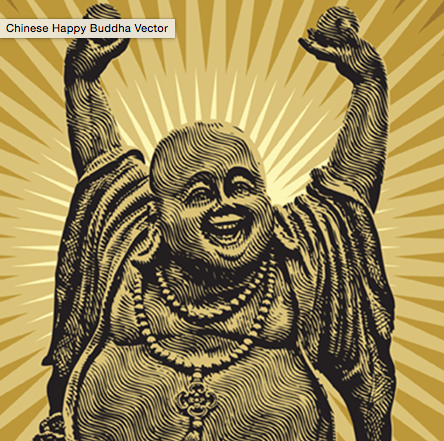 Some of the most interesting (and active stack) sections on our site include the nootropic stack section, custom supplement stack pages: phenibut stacks and noopept stacks. 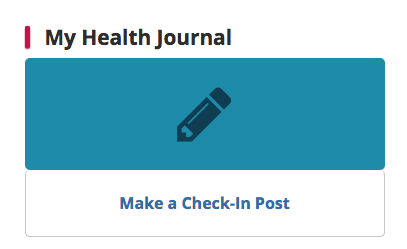 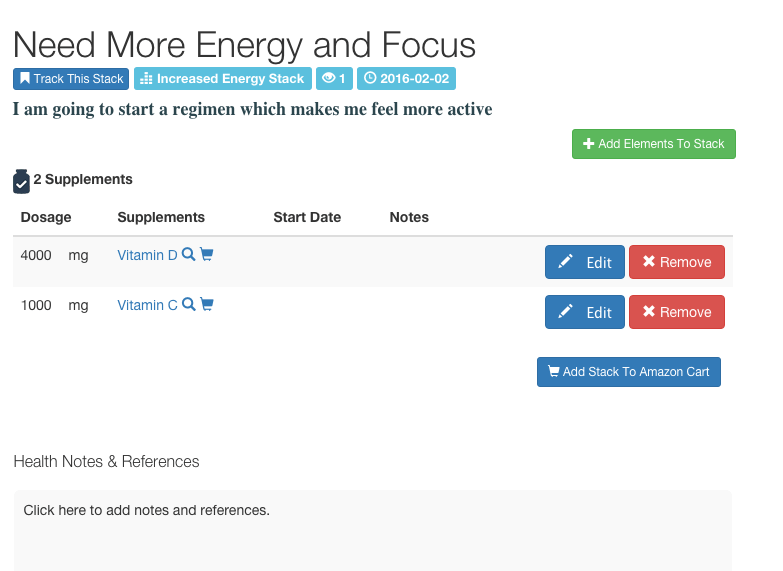 This new feature is now on the stacks page: http://trackmystack.com/stacks You may search for stacks that have the supplements you currently want to take or are undertaking, this helps you see how other patients are using a stack similar to you and if it has been effective for them or not — provided they have used a stacklog or just made notes of it. 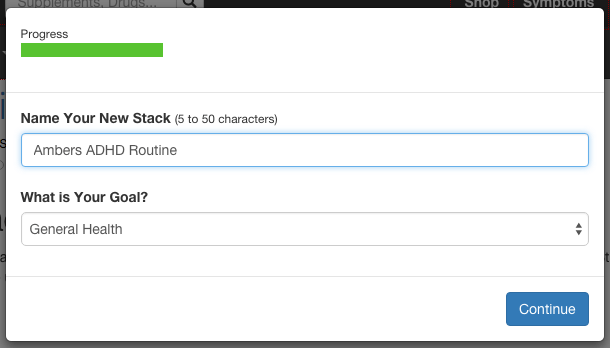 after clicking search you are presented with a list of stacks that are ordered by relevancy. 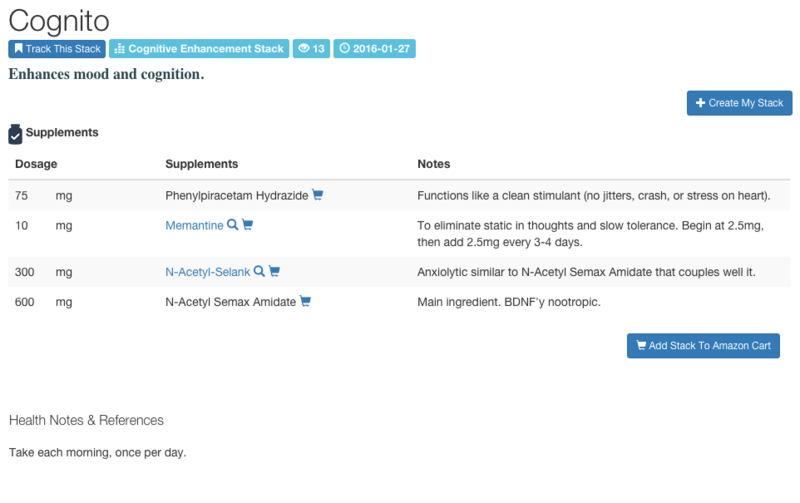 If you visit a supplement page you can take note of the most commonly stacked supplements, for example: with CDP Choline page you will see the list below showing the most frequently paired compounds. 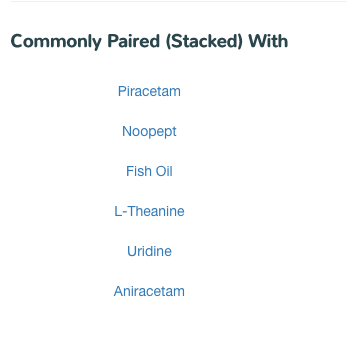 The below list makes sense because users are (probably) depleting their choline levels when supplementing with Piracetam and thus using choline to negate the possibilities of a getting a headache. 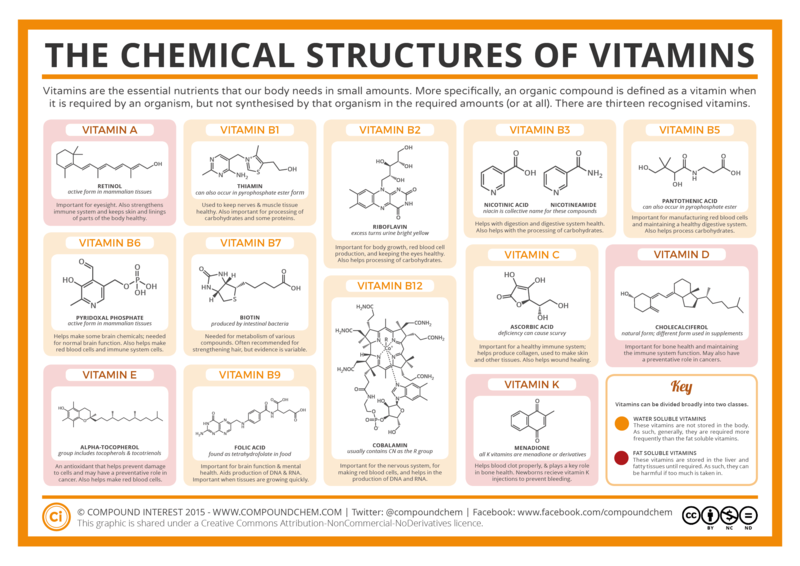 However, this should just be used as a reference, as your biology is different but it provides an idea (in this case as some people may be choline dominant and do not require Choline to be paired with Piracetam). 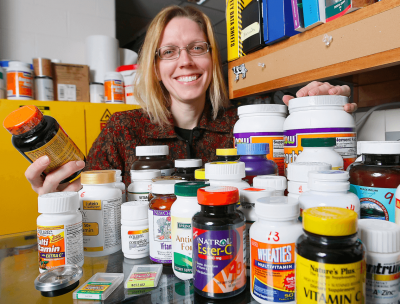 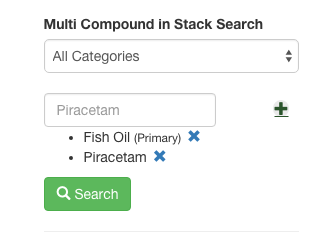 We are working to build a database of our drug to drug, drug to supplement, and supplement to supplement interactions that are listed automatically on your stack page. 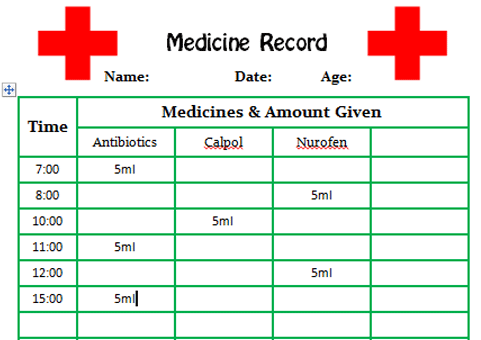 This is NOT COMPREHENSIVE and please use it as a reference AT YOUR OWN RISK. 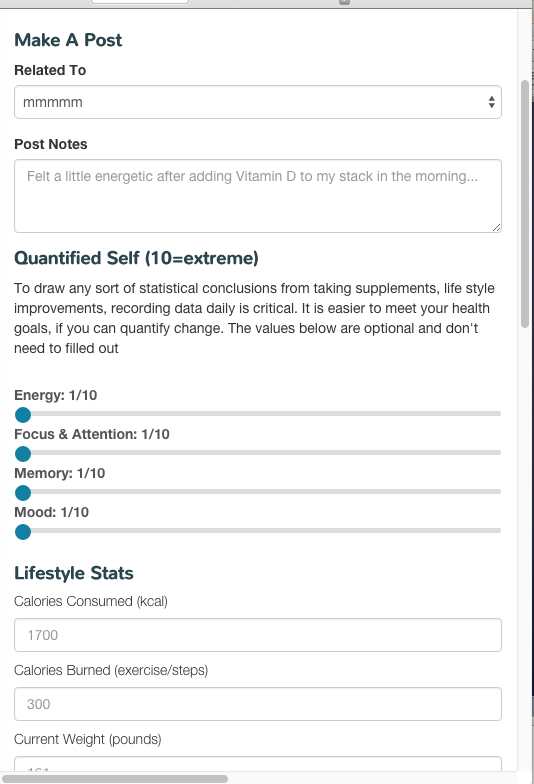 Some interactions do not have a full explanation as of yet, but we are looking at it as displaying something to let users know of potential negative interactions is better then nothing, thus making our “biohacking”/quantified self community just a tad bit safer. 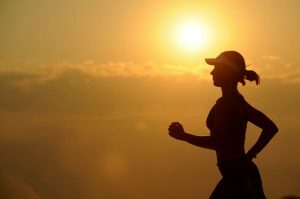 With the addition of these features we are very far ahead of any potential competitor that may exist, and are on our way to become the primary platform for those looking to get better and feel better. 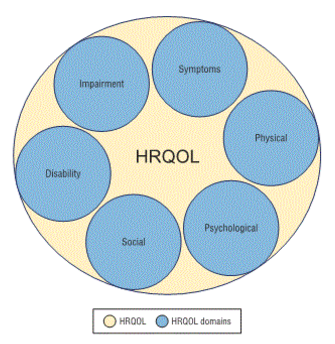 Best of all we provide access to all of this for free! 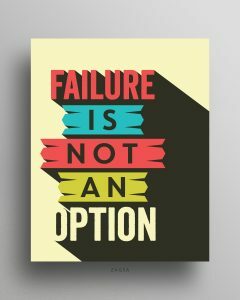 Let me know if you have any questions, or concerns. 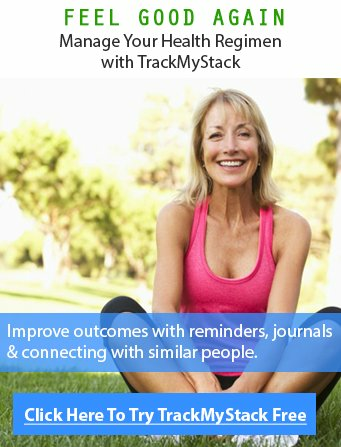 Now more then ever when your doctor’s time is stretched thin, taking control of your health falls completely onto you, and TrackMyStack (TMS) provides a platform to get started managing your health that will help you and your care provider.